Customer may bring Wine & Liquor selections of your choice. We will get alcoholic beverage license for your event. The Washington State Liquor Control Board (WSLCB) regulates alcoholic beverages and services. 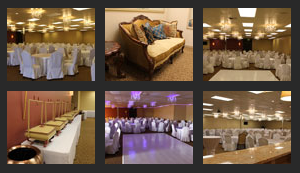 The Royal Banquet and Conference Hall is responsible for the administration of these regulations within the facility. Customer will need to provide the proof of insurance based upon number of guests at least 5 days before the event. Cooking is allowed in Kitchen or food can be catered from Outside Vendor or Catering Company and served to customers in Hall. Kitchen will be available to store food – cold or hot. Food warmer and Refrigerator will be available to use for your event and if extra food is left customer must take food with them after event is finished.